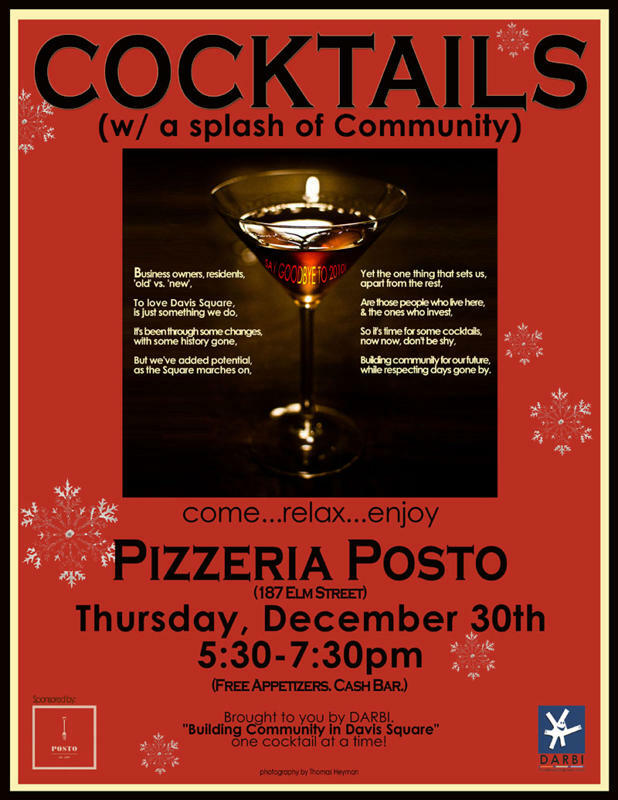 Thur., Dec. 30, 5:30-7:30pm. Please join us for some munchies and mingling at our next (monthly) DARBI cocktail hour. 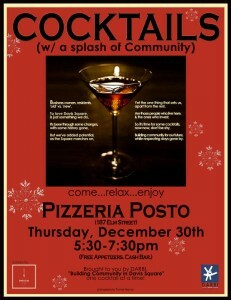 Pizzeria Posto is at 187 Elm St.
Wed., Dec. 15, noon-1:30pm. Come join other Davis-area business people for our monthly networking lunch at Johnny D’s. An opportunity to meet, exchange ideas and build community. $10 for members; $12 for non-members (CASH ONLY).